The Barefoot world atlas is not a global guide to walking without footwear. It is an App provided by the eponymous publishers to showcase their wares. It is probably aimed at a fairly young audience but, don't let that in any way put you off. If you are looking for a traditional geopolitical atlas, this won't be exactly your cup of tea. Here you are presented with a list of major regions/continents. Pick one and start your voyage of discovery. From here you can touch a flag and get information on any given country (land mass, population, capital city and distance from where you are), currency, highest point, cars per 1,000 population, average CO2 emissions, and temperatures. Picking an icon which is not a flag brings up interesting facts about a place, animal. Some are animated and have high quality photographs to give you an even better feel for the item. This gives you access to a list of countries. Picking one then zooms in to that Region and subsequently behaves in the same way as the 'Globe' icon. This gives you direct access to all the non-country icons. Explore such diverse topics as Edmund Hillary, Eiffel Tower, or Elks. The narrative can also be spoken to you. Sounds a great idea for long journeys with children who cannot yet read... although the voice is a tad mechanical. This is for setting your favourites. This is no promote the App by email, or offer it as a present, or review, or provide feedback. The App is absolutely free. The advertising contained is discrete and is only to promote other products from the publisher. The App works very well, although it is fairly greedy on memory. Those quality pictures, together with the App, will take up 1.2 GB of your iOS device's memory. This is roughly 20 times as much as most run of the mill Apps. You are invited to share your current location, so that the distance to you calculation is possible. Great source of geographical (and more) knowledge for families. 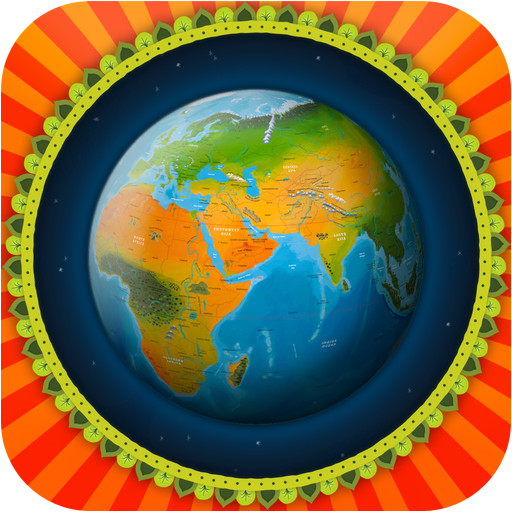 You can get Barefoot World Atlas here and support for the App here. The developer advises that there has been an update to version 2.2.8 of the App. The developer advises that there has been an update to version 2.2.9 of the App. The developer advises that there has been an update to version 2.2.10 of the App.